A view from Etna. 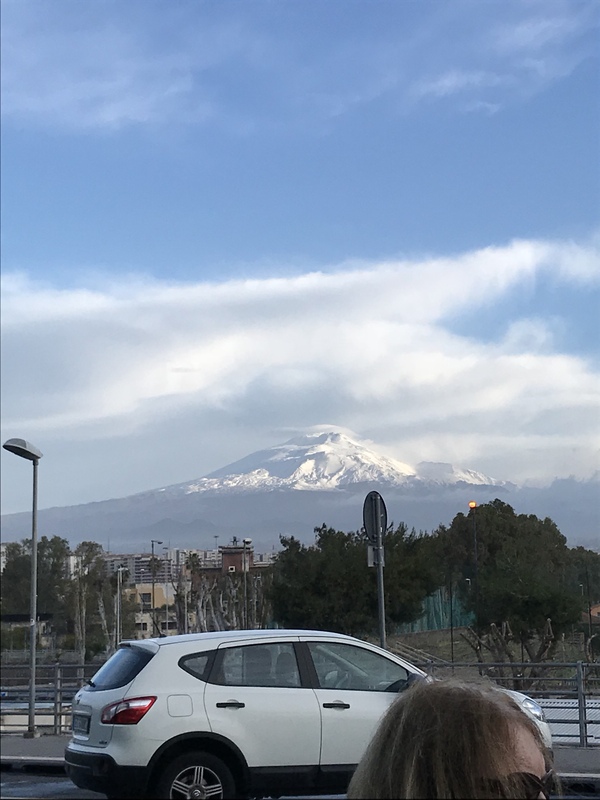 While we didn’t discuss Etna much on this trip, it is one of the most important cultural identifiers and components of Sicily, especially for the surrounding towns. 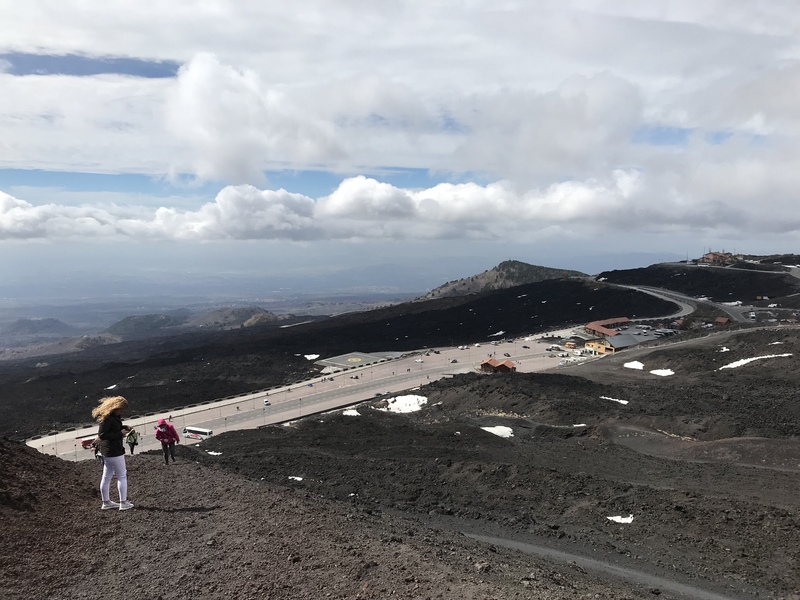 Etna and its eruptions make the area incredibly fertile, making it more a source of life than it is a source of destruction and devastation. 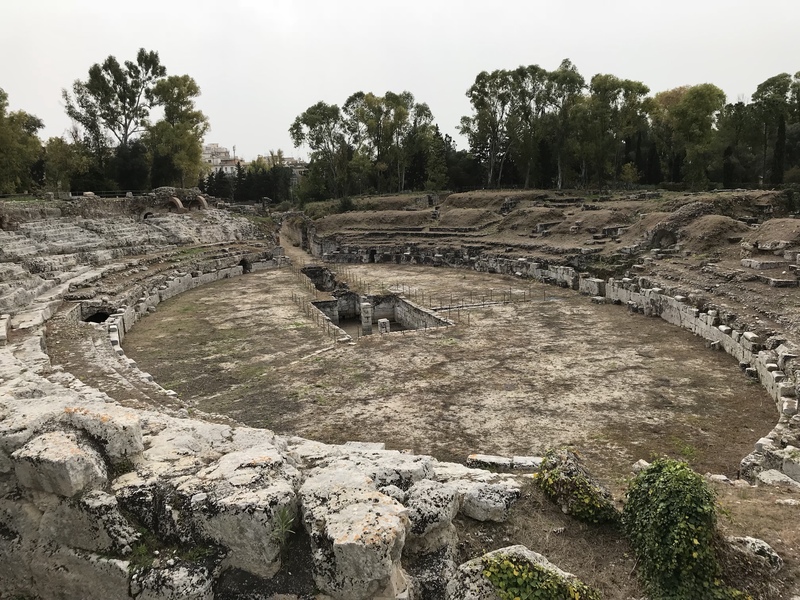 An amphitheater we saw in Siracusa. I didn’t understand before this trip the difference between a Roman theater and amphitheater – the former has a stage with seating only on one side, whereas the latter has a stage completely encircled by seating (think Coliseum). 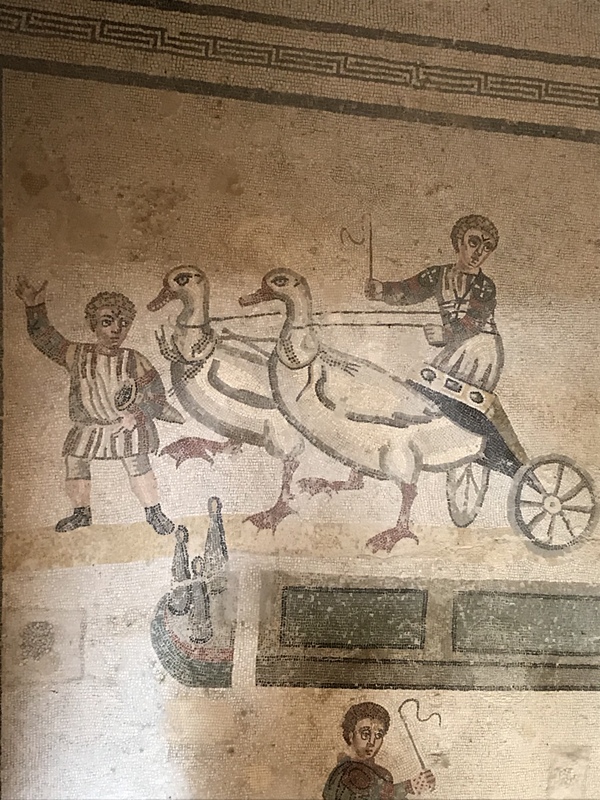 This one mural is among many meticulous depictions of various animals, people, and events in the “vacation villa” that we visited before arriving in Siracusa. Demonstrated further how prevalently wealth was displayed, but also presented insight into the lives of occupants of the home (what they did for fun, what was socially valuable). 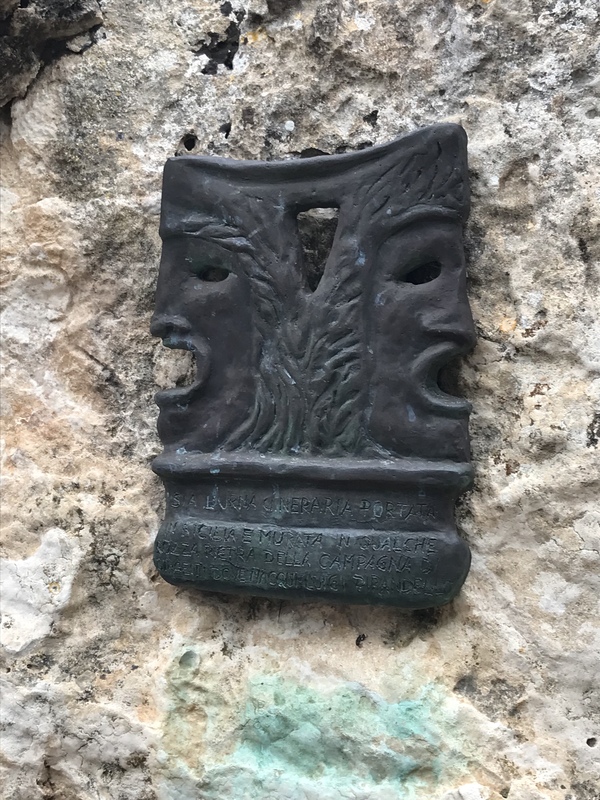 This small sculpture was at Pirandello’s tomb, representing his concept of the mask exiting both in his writing and as a real-life framework for social interaction. One of his greatest contributions, and something that has resonated with me to understand my own life a little differently.